Waterfront spectacular! Architecturally designed and professionally engineered, 2500 sq ft home, built in 1994. Over 1/2 acre with 160' of low bank shoreline overlooking Halfmoon Bay pier, Merry Island, and Thormanby Island. This stunning home features a 36' skylight providing an abundance of natural light to flow through. Lovely floor plan with master bedroom, w/i closet and ensuite on main floor. Floor to ceiling windows, exterior access from every room. Spacious island kitchen with skylights and a screened porch to enjoy views & sounds of the sea. 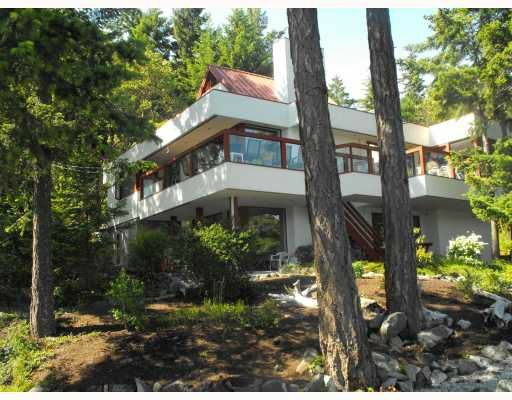 Cedar vaulted ceilings in L/R w/ Italian granite f/p with access to 700 sq ft of decks. Double garage, low maintenance yard. See slide show on link below.